With the Khan Academy launching their iPad apps for all the content they have, it is interesting to see there are more of those types of free online courses out there. There idea behind what they do is to create a global classroom for education. Udemy is another one like Khan, but there are free courses and paid courses. The quality of the courses are not bad. It's design where anyone can build an online course. The newest one is Udacity. It is currently in beta format and you can see they are still uploading content, but the focus of their content is made for future schools. For those looking for resources when teaching STEM, this is one place where they deliver content very well. I can see this as an up and coming resource. Thanks Cassie. I think you're right that these will be hot topics in online education. 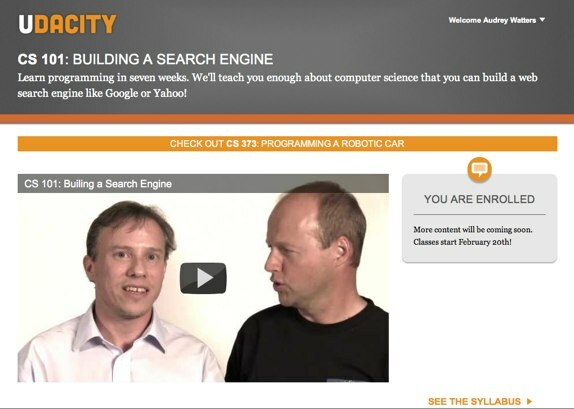 Udacity seems really good for STEM stuff, and it's nice that it's free.